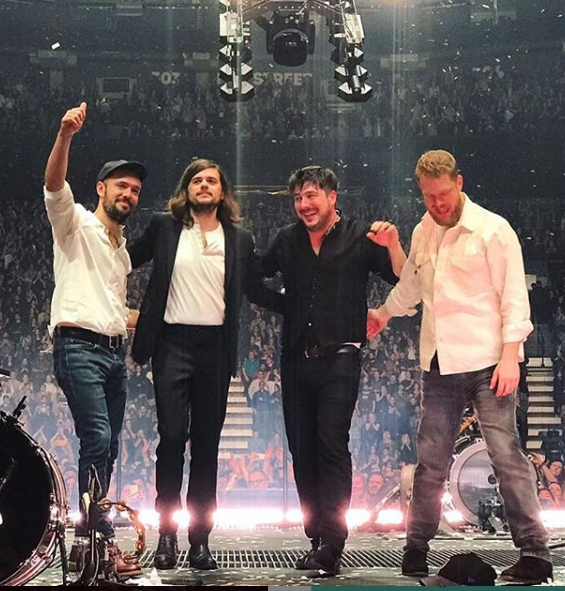 Congrats to Mumford & Sons (Glassnote) as they get their fourth #1 with "Guiding Light." Shaed's "Trampoline" (Photo Finish/Caroline) enters the Top 20. Judah & The Lion's "Over My Head" (Caroline) debuts at #22, up 700 spins! Other hot shot debuts include Walk The Moon's "Timebomb" (RCA) at #25 and Catfish & The Bottlemen's "Longshot" (Capitol) at #30. Plus, Bear Hands' "Blue Lips" (Q Prime) also debuts.